Capital One - Intentionally Harming Credit Scores? 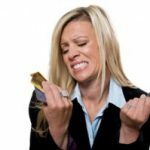 Capital One – Intentionally Harming Credit Scores? I was recently listening to Clark Howard when the subject of Capital One credit cards came up. As you may or may not know, Capital One only recently started reporting credit limits to the credit bureaus. Previously, they had been reporting the highest balance in place of the actual credit limit. This was a very significant policy change for consumers since credit utilization (i.e., the proportion of available limits that you currently owe) is a major component of your credit score. In many cases, a customer’s highest balance is substantially lower than their limit. Thus, the practice of reporting highest balances instead of limits inflates their credit utilization, thereby damaging their credit score. I always wondered why it was that Capital One did this, as it seems like such an easy thing to get right. Well, according to Clark, Capital One was doing this intentionally to hurt their customers’ credit scores in order to make them appear less creditworthy, and thus less likely to be able to take their business elsewhere. This is a fairly provocative statement, and it was made in the absence of any evidence, but it makes perfect sense. The real problem with this practice is that it has manifold effects. Indeed, your credit score now influences many facets of your life, including your ability to rent property, get a cell phone, get affordable car insurance, get a decent mortgage rate, or even get a job. Nice. In an attempt to keep them from leaving, it appears that Capital One may have been sabotaging their “valued” customers in ways that extend well beyond the realm of credit cards. Assuming this to be true, there’s no way I’d willingly do business with a company that is capable of such things, even if they’ve apparently changed their wicked ways. To check if your credit score has been affected by this, sign up for free at Credit Karma. Credit Card Annual Fees: Should You Close Your Account? Don’t worry they have other ways to make your score lower too. They will offer that you apply for a new account with them. The new account will also, for many, have a low credit limit. This will keep the score low. The application itself will keep the score low. Years and years later after this was first posted, they have been sued for their bad habits. One by one they change their policies after they must do so by the order of the courts or because of legal fees. Don’t worry, they will think of as many ways as they can to insure they retain your business and get the most fees they can. They are a fee orientated bank. I personally think Capital One is the devil!! I had a card with them forever with a significantly high balance but always paid it off. I went through a divorce and moved and in the mix of things missed one payment. Sure that’s my fault for not paying attention but to this day they are the ONLY credit card company on my 3 reports that have me listed as 30 days late. DING!! Thank you for being a loyal customer. I have since closed this account and they continue to call and fill my mailbox with *great* credit card offers. Thanks Captial One but no thanks!! I am not a Capital One customer, but work in the credit card industry and I recently heard about this credit line reporting practice. Credit issuers make countless decisions where FICO score is a component: Issuing an account, increasing a credit line, extending purchase and balance transfer offers, account retention strategies, negotiating APR; the list goes on and on. Cap 1 was advantaged with the ability to adjust their customer risk models knowing the effect of the policy on the customer’s FICO score. All other creditors did not have a full and accurate picture. (based on prior credit bureau privacy intrusions by Cap 1, the issuer name is encrypted on your bureau). For examplem, a competitor may reject a request to lower a customer’s APR based on their reduced FICO, where Cap 1 is more willing to negotiate – making them look like heroes. I am somewhat surprised that there has not been a Class Action suit started for impacted consumers. The reality is that most are unaware â€“ and these are likely the consumers impacted the most â€“ the ones with lower FICO scores to begin with. They accepted that declines or higher APRs on their loans, mortgages, credit cards, insurance, etc. were their own fault. So Capital One is fixing the reporting problem, good news I guess. But where is the accountability for the millions of their own customers who have been financially impacted by this intentional â€œstrategyâ€. Read the history on the web, this has been a known practice by Cap 1 for several years. Look at the facts; the highest organic portfolio growth of any credit card issuer in the last 5 years; and this is not a company known for its service. Makes me wonder, what other strategies are being practiced? Wow, I didn’t realize they did this and I have a card with them. Maybe I’ll look into replacing it now, just out of principal. Just to clarify… This isn’t causing me to leave Capital One. We’ve never had an account with them in the past. It’s just making way less likely that I’ll ever open one in the future. @nickel: Probably not, but I don’t see any point in continuing to punish anyone who has corrected his “evil” ways. Sure this might speak to an overall problem with the company agenda in general, and if that’s the case you are justified, but if you have a specific beef and it gets rectified it’s simply vindictive to change companies anyway. My understanding was that Capital One did this as to not reveal the credit limits they give out to their customers. I guess the bureaus could aggregate this data and somehow compare CapOne’s lending policies to other card issuers. Shrug, it’s not a huge deal but it is a negative. I still keep my only CapOne card, as it is my oldest card. On top of that, it’s useful for travel. I noticed the policy change also, but didn’t put that together with the idea it may have been intentional to hurt credit scores. I think that is horrible if that is the case. Talk about biting the hand that feeds you! Do you honestly think it’s possible to train a bank such as Capital One? As for all banks screwing up at some point, I agree that this is likely. However, a mistake is different from a corporate policy designed to handicap their customers. You’ll quickly run out of banks to do business with, then. Seems to me they all screw up sometimes, intentionally or not. If they make an effort to fix the problem, it seems like an act of good faith that should be rewarded. Otherwise they are just learning that it doesn’t matter if they do good or bad, they get treated the same way. It’s like training a dog. If he goes outside, he gets rewarded. If he goes on the carpet, he gets gently corrected, but not traded in for a new dog. MITBeta: That’s right. There are plenty of other companies out there that didn’t play games like this. So even if they have rectified their “evil” policy, you still won’t do business with them? It happened to me… I had 2 cards with them.. total credit limit of about $30,000 and balances of $8,000 .. I had to send copies of my statements to new lender showing the credit limits So I could get my pool loan at a favorable rate. Howard’s analysis may or may not be correct, but my question would be why would Capital One now change this practice if that was its intent? It’s not like there was a groundswell of public outrage or significant governmental pressure. To my knowledge they changed their policy unilaterally.